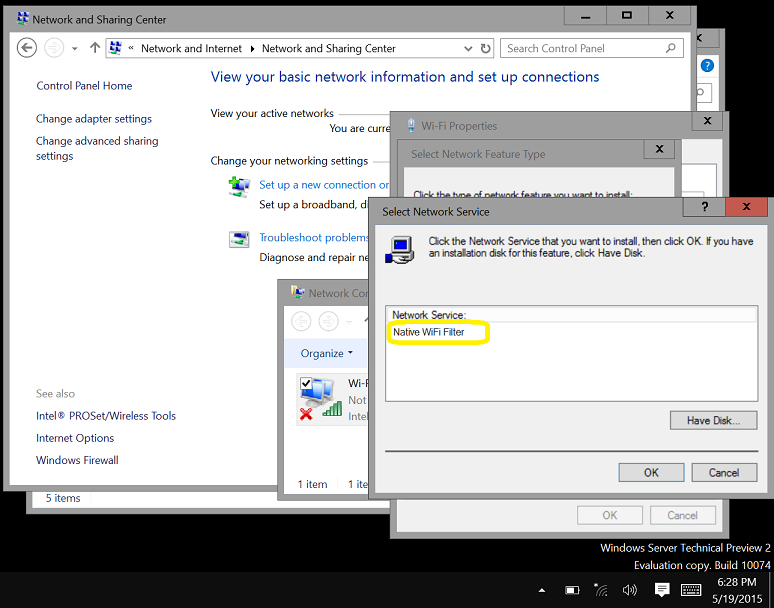 As you probably are aware of, Windows 2016 Server TP2, comes with 2 installation options. 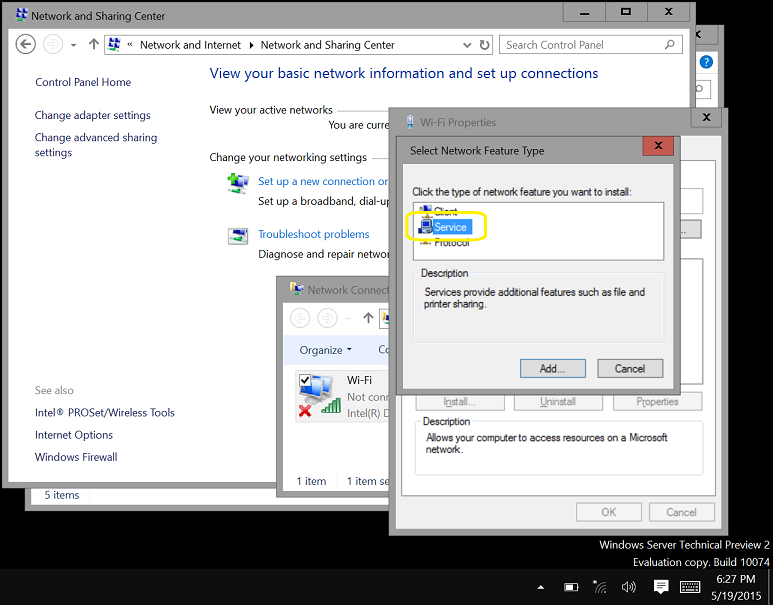 You also probably have noticed as well that the graphical user interface (GUI) is no longer an option in a default install on the Technical Preview 2.NOt even Start Menu. 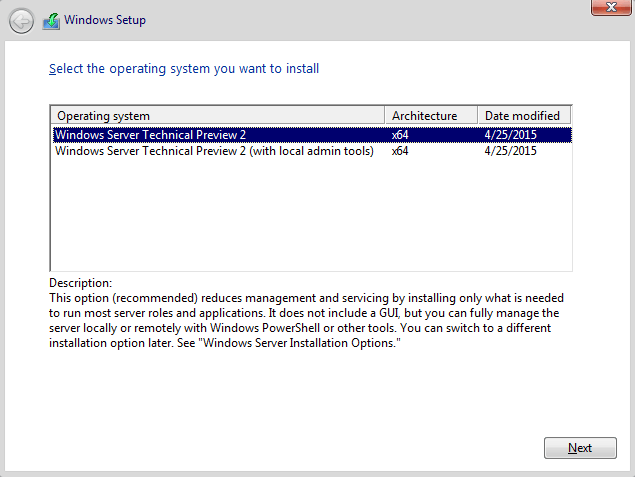 Windows Server Technical Preview 2 option, will install the server with MinShell (Minimal Shell no GUI). Assuming that you will manage the host remotely you won’t need graphical interface at all and from a security point of view, it is the better option. 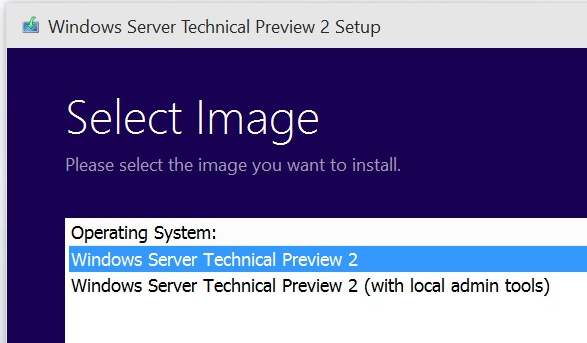 Windows Server Technical Preview 2 (with local admin tools) option, will install the server again with MinShell, but includes Server Manager and the other GUI administration tools, although no desktop experience (traditional desktop), nor start menu. 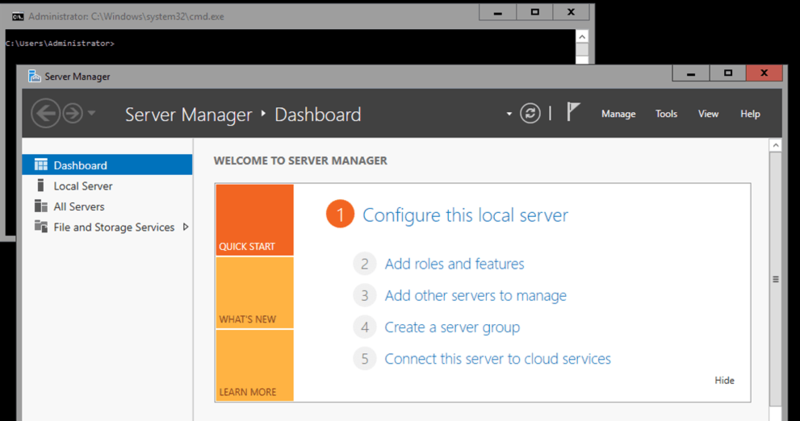 To install Hyper-V role in the Windows Server Technical Preview 2 (with local admin tools) option, in the Server Manager console, click on Add roles and features and select Hyper-V. 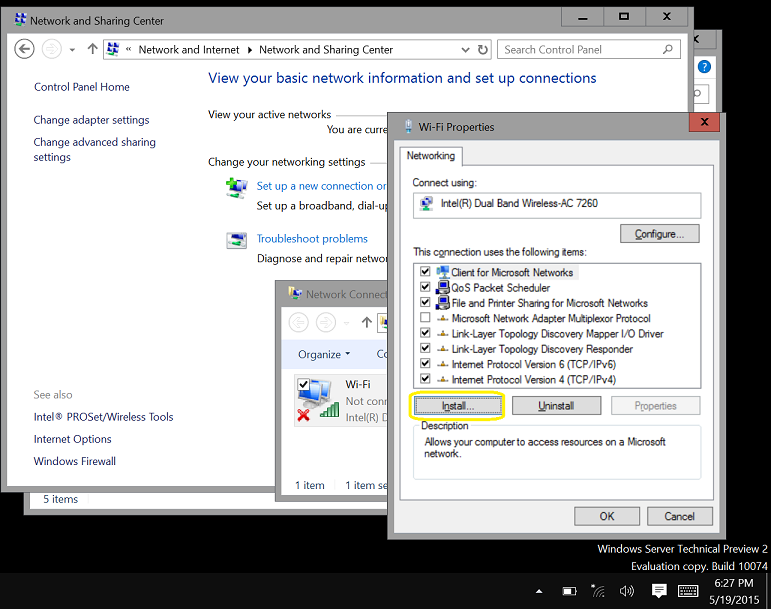 In the Network and Sharing Center, click on Change Adapter Settings and then on the network connections, select the Wireless Network, right click and select Properties. 5. Done. 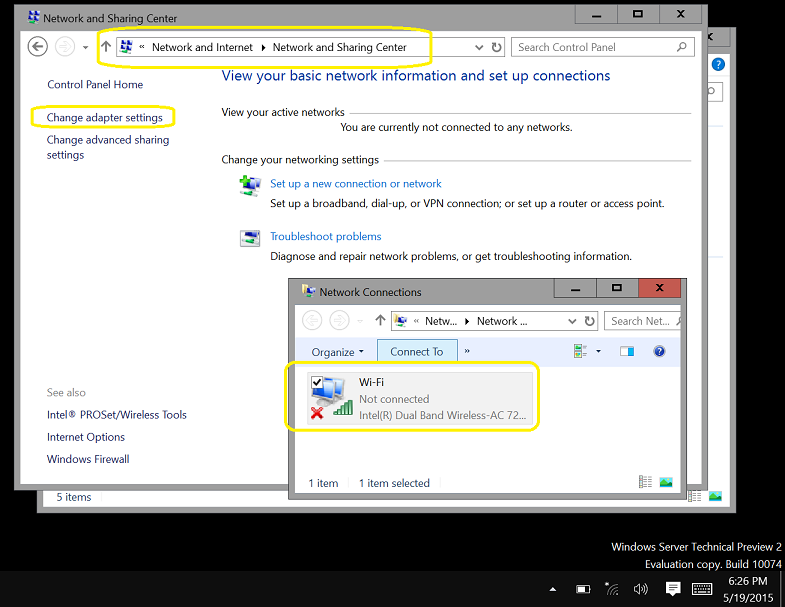 You will be able to connect to a WiFi connection now. Compute and Virtualization: Simplified upgrades, new installment options, and increased resilience, helping you ensure the stability of the infrastructure without limiting agility. Networking: Continued investment to make networking as flexible and cost-effective as possible while ensuring high performance. Storage: Expanding capabilities in software-defined storage with an emphasis on resilience, reduced cost, and increased control. Security and Assurance: Protecting against today’s threats with a “zero-trust” approach to security that is rooted in the hardware. Management: Ongoing advances to simplify server management and increase consistency in approach. PowerShell Desired State Configuration (DSC) for easier, consistent and faster deployment and updates.